A poster of a missing person is slowly replacing government issued death certificates as official confirmation of death in Nairobi City County. 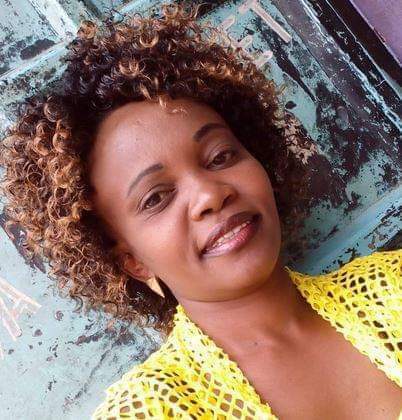 Just days after Amnesty International raised alarm that a human rights activist based in Dandora had gone missing, her body has been found inside City Mortuary freezers to the much disappointment of her family and friends. Caroline Mwatha Ochieng was a human rights activist that spoke against police killings, popularly known as extrajudicial killings in activism circles, especially in the areas in Eastlands Estate Nairobi. She went missing on Tuesday last week and after futile attempts by her family to make contact, she was reported as missing on Friday of the same week. Calls on social media by her colleagues, Amnesty International and concerned citizens, there were no leads or hints as to where she may have been. Today the police have confirmed that Caroline Mwatha is dead. According to police, the lady died as a result of a botched abortion procedure at a clinic in Nairobi. It is now emerging that Mwatha was five months pregnant at the time of her death, according to the police who also claim that they are in possession of text messages that show Caroline's conversations with the doctor who performed the fatal procedure. According to the police, the doctor has admitted that the lady died in his clinic and they took the body to City Mortuary where it was registered under a different name. Cause of death was marked as death by diarrhea. According to police spokesperson Charles Owino, they have two people in their custody; the doctor and the owner of the clinic. Directorate of Criminal Investigations now say that Caroline Mwatha was carrying the baby of one Alexander Gitau working in Isiolo County (5 months). Phone communication proves that the two were in touch about the pregnancy. She reportedly lost her life after the procedure.